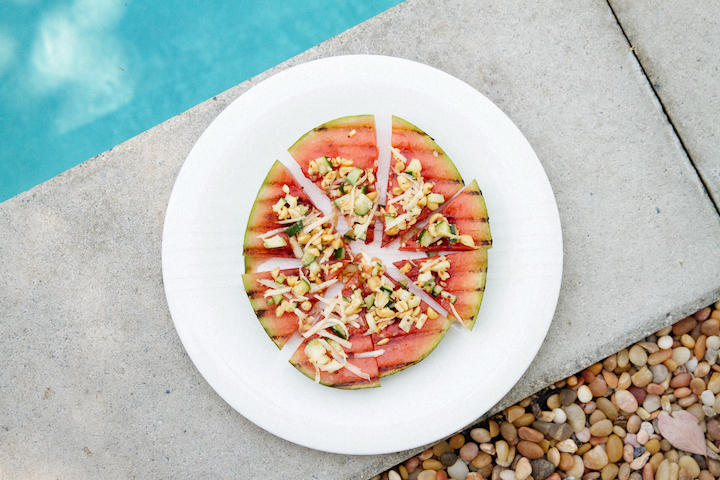 Consider this grilled watermelon an ode to the LA fruit carts! 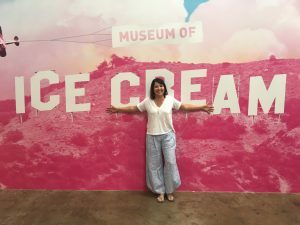 On a hot summer day in LA, you can’t go anywhere without seeing the rainbow fruit carts on busy street corners selling mouth-watering delectables to busy commuters. Let me tell you that I’m the first to line up for a classic chile-lime fruit combo that comes with an array of tropical fruits, melon chunks and even a splash of cucumbers and jicama to spice things up. I love the salty and sweet combination. I have my favorite and this particular fruit cart dude can be found in Los Feliz with his signature ‘Cocos Frios” sign above his cart. He nods and smiles when he sees me although I’m not really sure he recognizes me, perhaps he’s just being nice, but it doesn’t matter. I’m just there for my favorite -watermelon and cucumber. My collective, neighborhood, culinary adventures have inspired me to create this particular grilled watermelon and chutney recipe. The chutney (made up of shaved coconut, cucumber, mustard seed, chile, and peanuts) was inspired by one of my favorite Indian recipes. 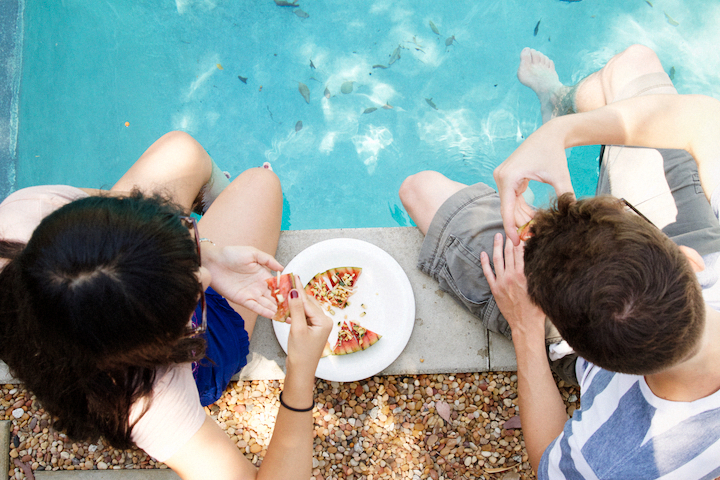 And grilling watermelon could not be more ALL AMERICAN, right? And if it’s too blazing hot to get in front of that flame, then skip the BBQ and dive into the coconut peanut chutney with some cold watermelon. It is equally delicious and thirst-quenching! 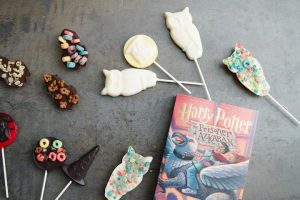 For this recipe, we turned the love on our Sweet Nerd interns. 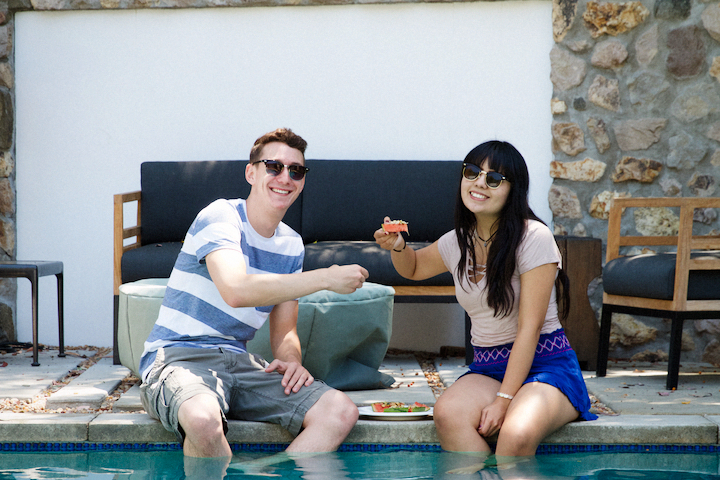 In honor of their support and help this summer, we took a break from posting, tagging, liking, and all the other million jobs Karina and Daniel do to feed them some delicious snacks! These rockstars are a hilarious and dynamic duo. They’ve earned it. Chef’s Tip: make sure your grill is super hot! Like, burn your eyebrows and melt your mascara hot. 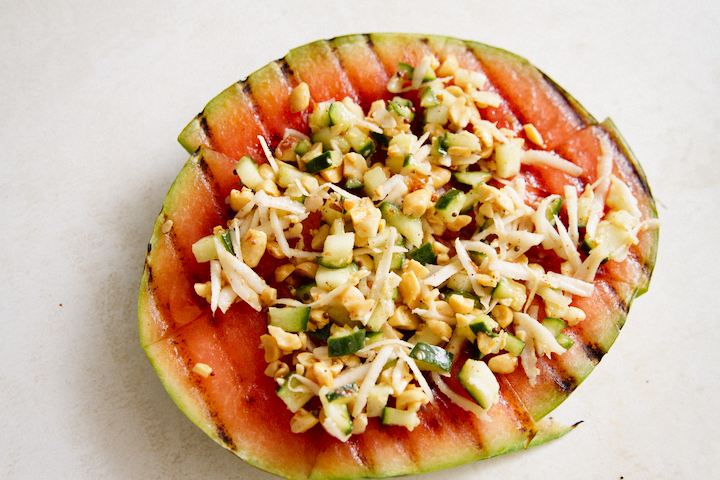 Brush the watermelon with olive oil, then place it on the grill. Remember to just sear it, not cook it. Wait for that sizzle and you’re done! Next up is my favorite part – the Coconut Chutney. Honestly, I’m lucky if I have enough to spread on the fruit because I’m usually taking nibbles here and there while I’m preparing it. I’m supposed to test out everything before I serve it, right? Now for a little mustard education…mustard is one of the oldest cultivated crops. The seeds have a strong flavor and when mixed with chile powder, it definitely makes it pop with a distinctive ‘spice’ taste. 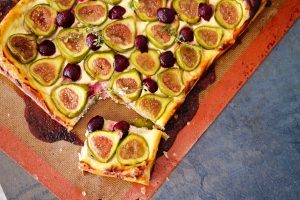 There are many variations, but for this recipe, I used a dark mustard seed which is high in selenium (an antioxidant booster!) and omega-3 fatty acid. 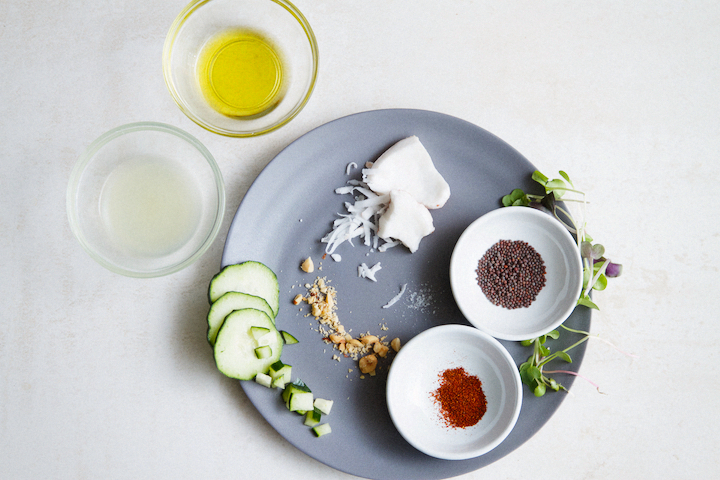 Toast the mustard seeds to bring out the flavors, then bathe the seeds in chile and olive oil for one minute or so. It’s now ready to be mixed into the chutney. Top your grilled watermelon with this colorful chutney and sing your praises to the local fruit cart man! 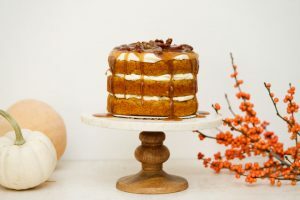 We owe him – BIG-TIME for this sweet and savory treat. 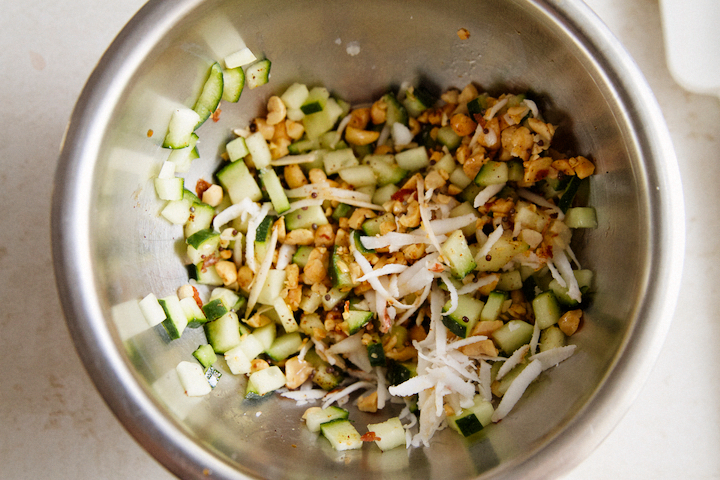 1Chutney: Combine peanuts, cucumber, coconut, lime juice, sugar, and salt. 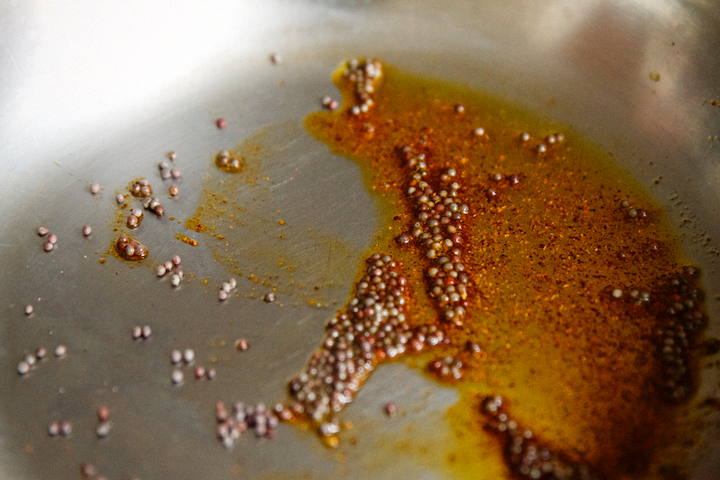 In a small saucepan, toast mustard seeds for 1 minute, then add oil and chile for one more minute over medium heat. Cool and combine into chutney. 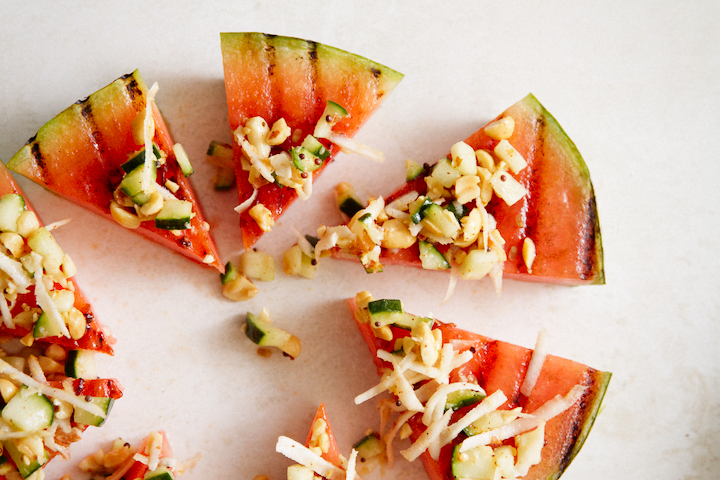 2Watermelon: Brush the watermelon sides with olive oil, and grill on high heat. Sear, but do not cook! Once you have searmarks, you are done. Remove from grill. 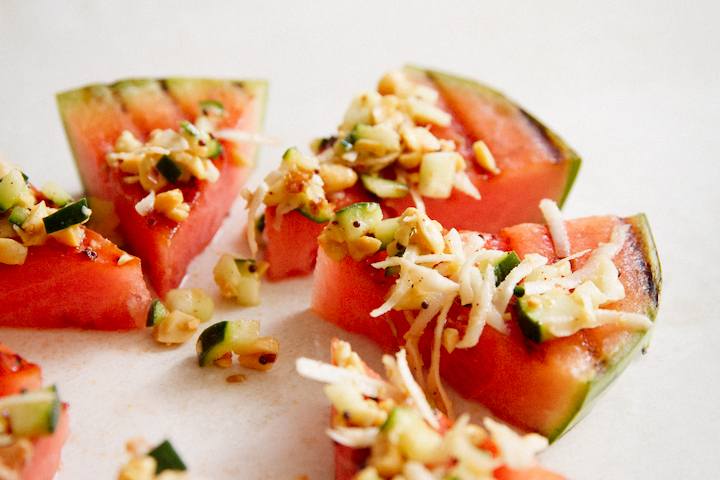 3Top chutney on watermelon and serve immediately. I love this because it really articulates how hot it has to be. 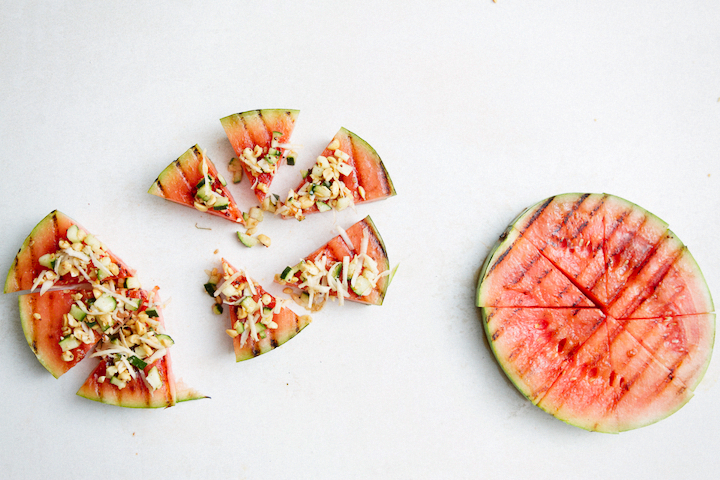 Also there is no better summer snack better than watermelon. It’s so refreshing and grilling it makes it look that much more appealing!